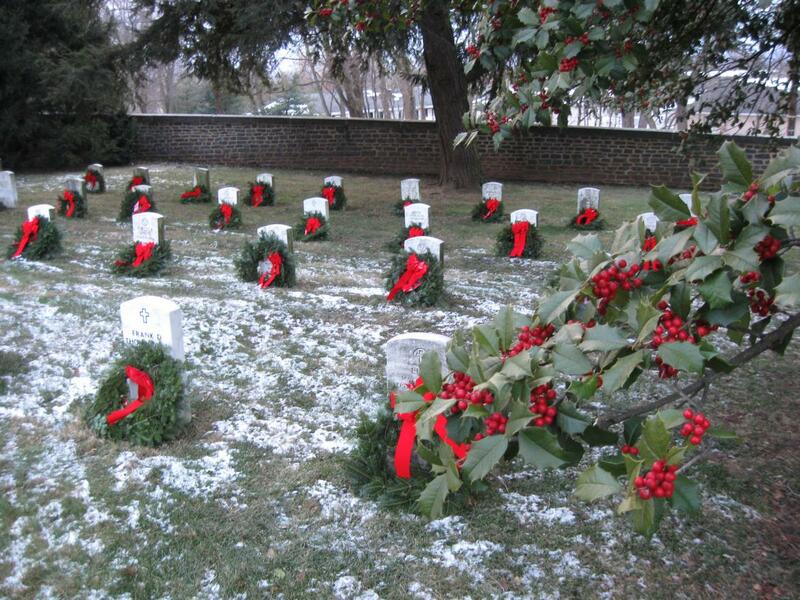 400 Christmas wreaths were placed on the headstones of the post Civil War graves in the Soldiers’ National Cemetery last Friday. They were the gift of a foundation, established by the family of a local Marine killed in a helicopter accident off the northeast coast of Africa in 2006. This view was taken facing northeast at approximately 4:30 PM on Monday, December 8, 2008. 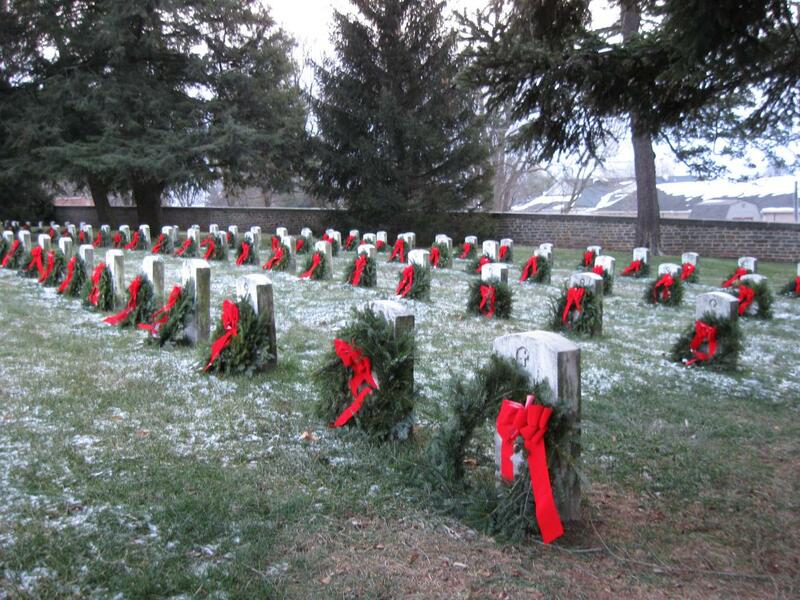 Approximately 400 Christmas wreaths were placed in Gettysburg’s Soldiers’ National Cemetery this weekend. They were the gift of the foundation began by the family of Marine Sergeant Jonathan Eric McColley. The 23 year old McColley was killed in a helicopter accident on February 17, 2006 off the coast of Djibouti. The McColley’s created the National Wreath Project, a program from the non-profit organization they set up to honor veterans, the Sgt. Mac Foundation. 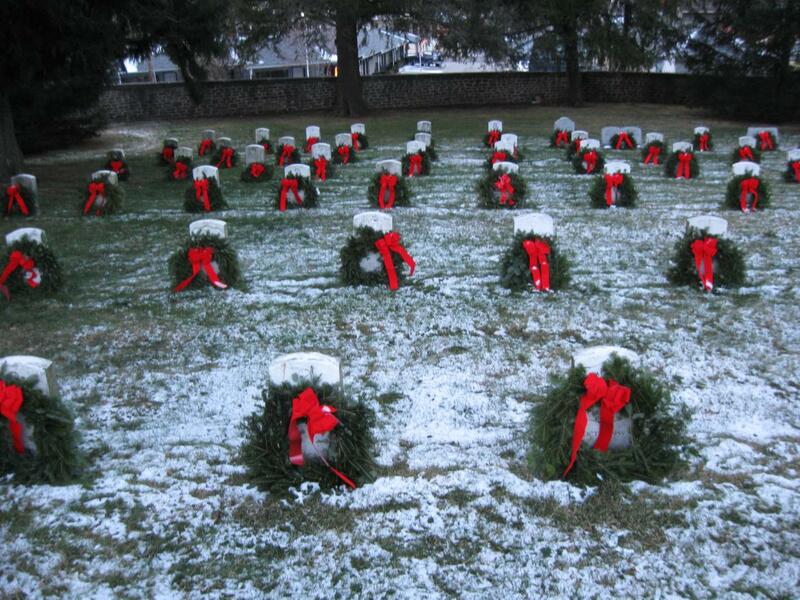 In Christmas, 2007, donations and volunteers led to the placement of over 2100 wreaths at Quantico. 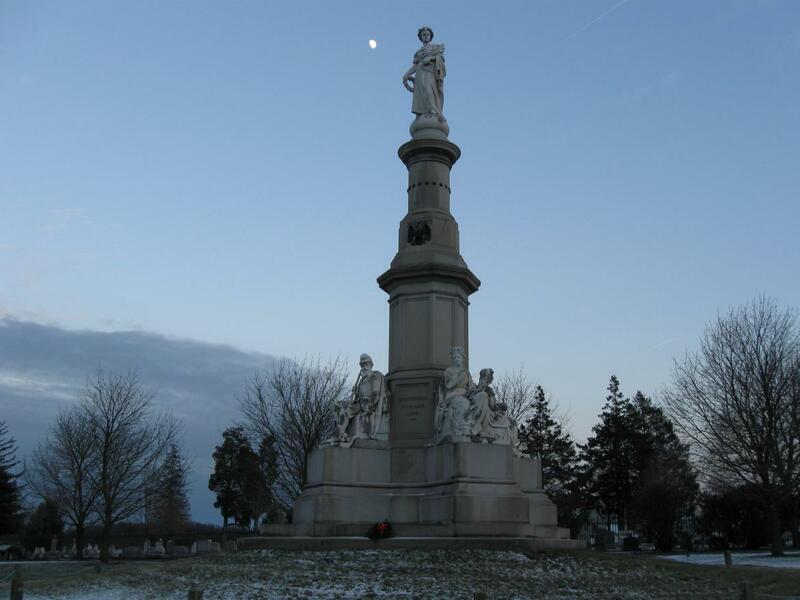 This year the project is expanding into another Cemetery, the one in Eric’s childhood hometown of Gettysburg. 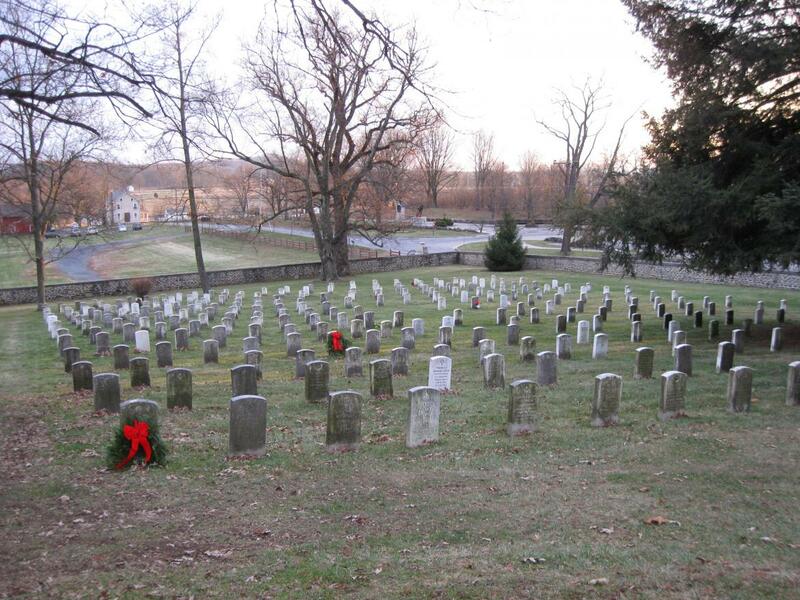 The first Thanksgiving after Eric died, his family visited his grave at Quantico and brought a Christmas wreath. 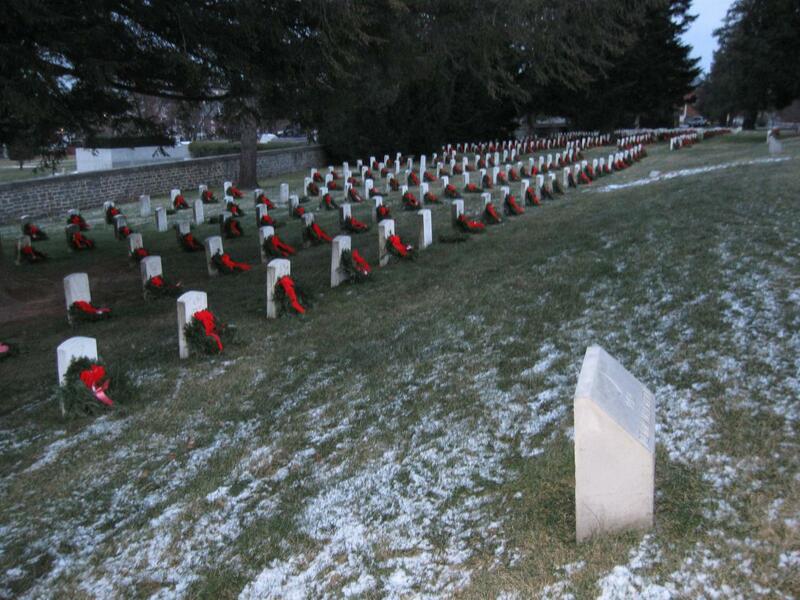 They visited frequently, brought a new wreath each time, and placed the old wreaths on the graves next to Eric’s. This view was taken facing west at approximately 4:30 PM on Monday, December 8, 2008. Eric’s family then noticed that many other graves were not decorated, and wondered what the best time was to buy the most wreaths at the cheapest price. This view was facing southwest at approximately 4:30 PM on Monday, December 8, 2008. 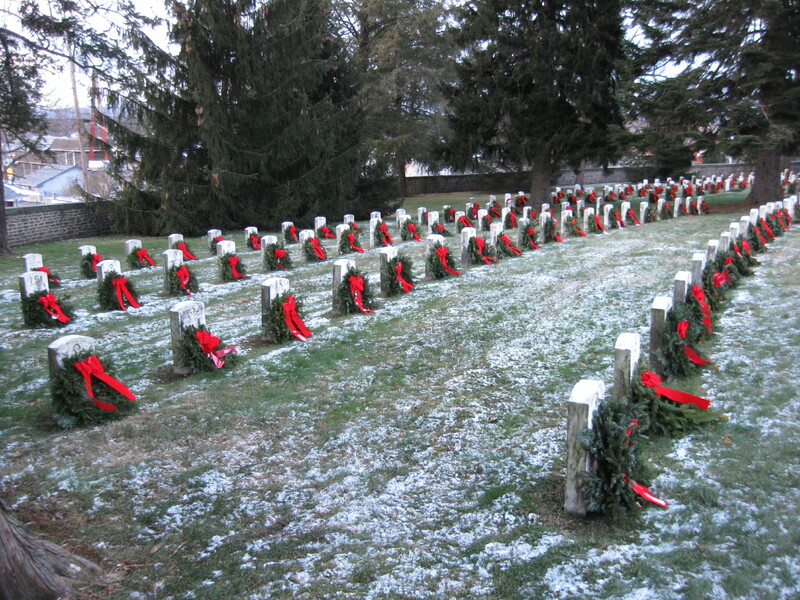 They purchased over 500 wreaths on sale for $1 each on Christmas Eve, 2006, and decorated most of the graves in Eric’s section at Quantico that Christmas Day. This view was taken facing northwest at approximately 4:30 PM on Monday, December 8, 2008. The McColley’s created the National Wreath Project, which is a program from the non-profit organization they set up to honor veterans, the Sgt. Mac Foundation. This view was taken facing southwest at approximately 4:30 PM on Monday, December 8, 2008. 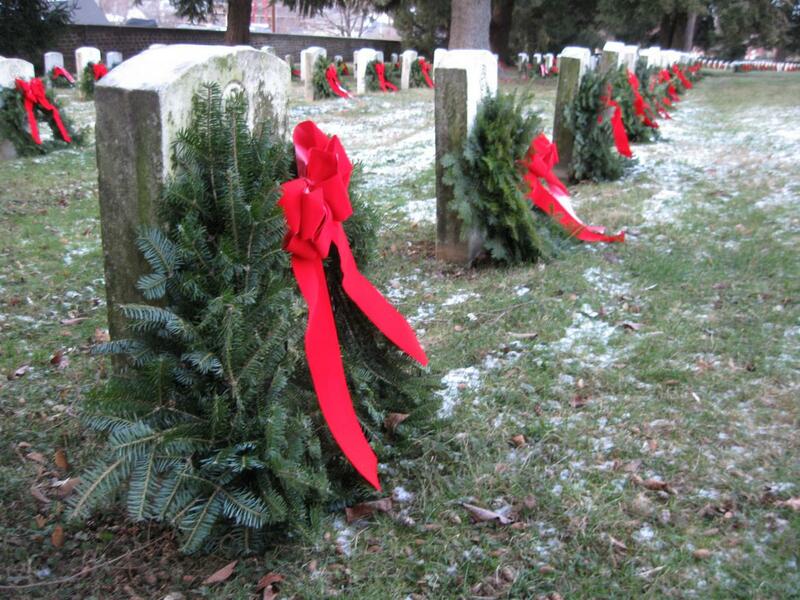 In Christmas, 2007, donations and volunteers led to the placement of over 2100 wreaths at Quantico. 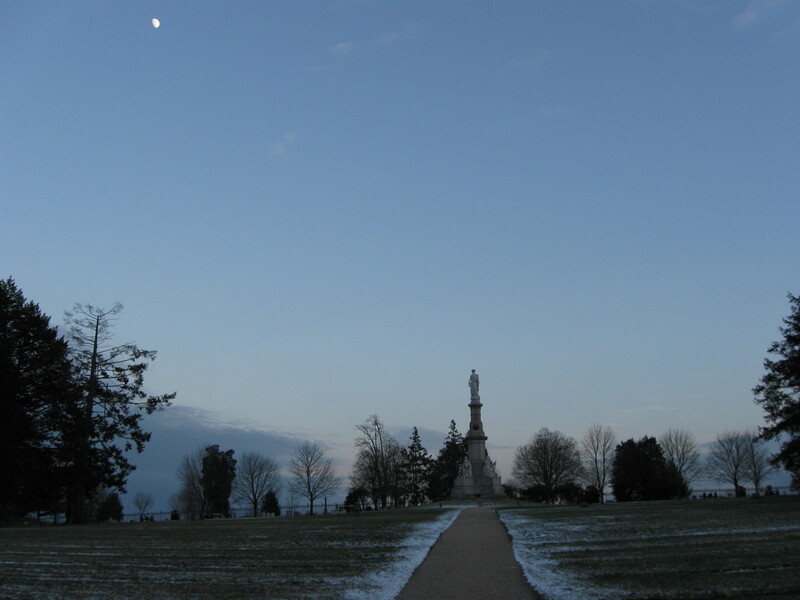 This year the project expanded to Gettysburg. This view was taken facing southwest at approximately 4:30 PM on Monday, December 8, 2008. 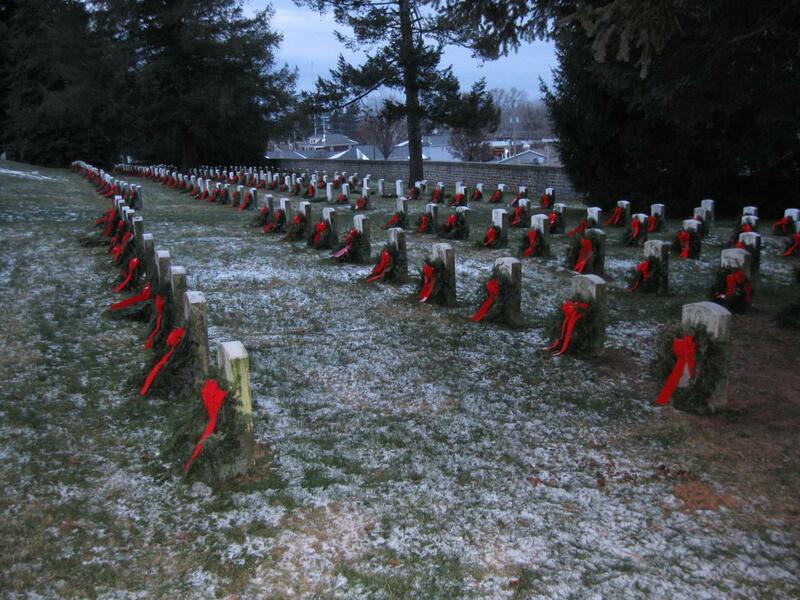 Last Thursday, third graders from Eric’s elementary school, Eisenhower Elementary in Gettysburg, put the wreaths and the ribbons together. 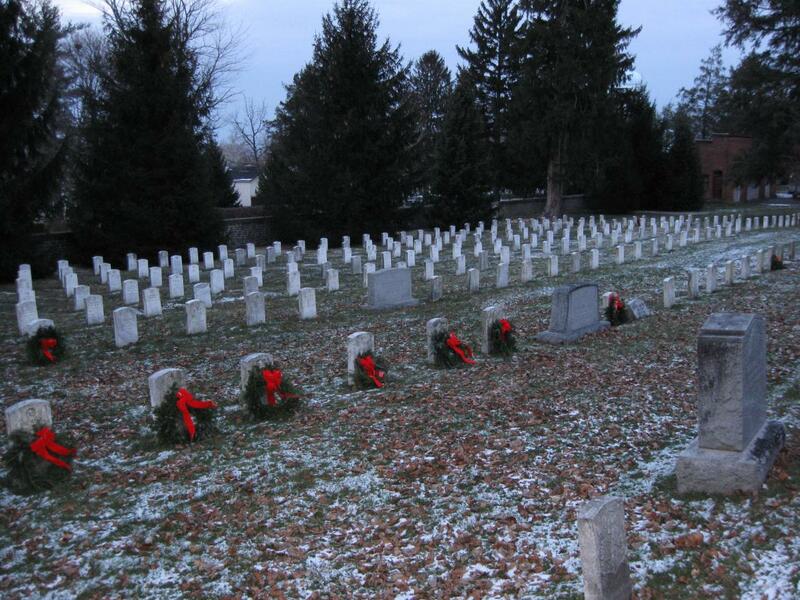 Volunteers placed the wreaths at Gettysburg on Friday. This view was taken facing southwest at approximately 4:30 PM on Monday, December 8, 2008. 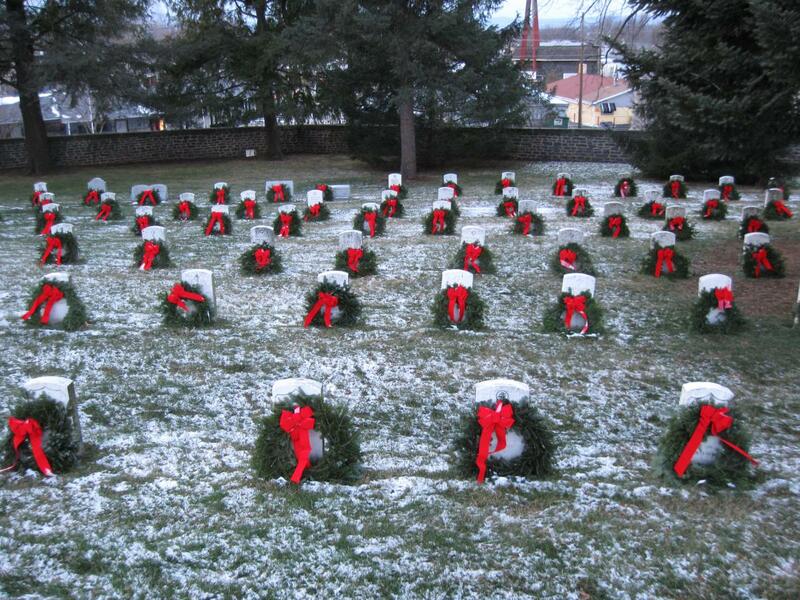 The wreaths were placed near the stone wall that borders the Taneytown Road and the Cemetery annex. This view was taken facing northwest at approximately 4:30 PM on Monday, December 8, 2008. 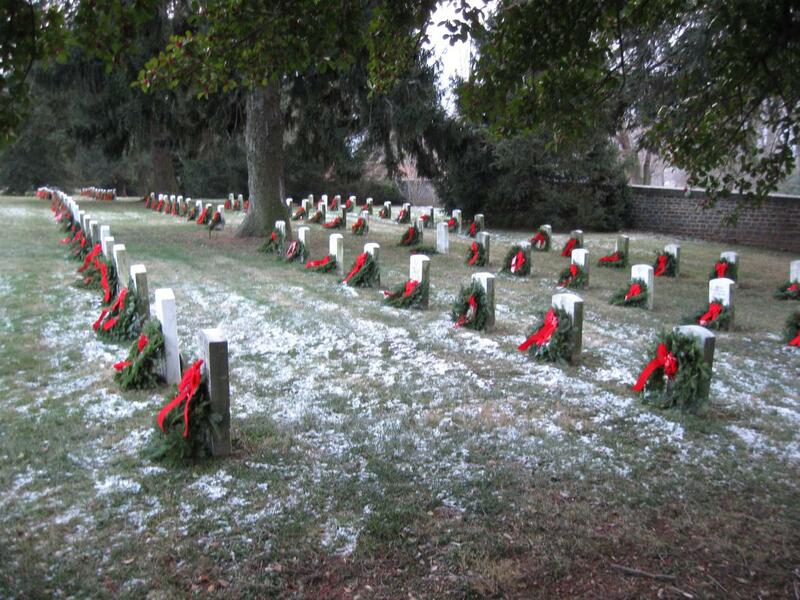 There are over 6000 individuals buried in the Gettysburg Soldiers’ National Cemetery. 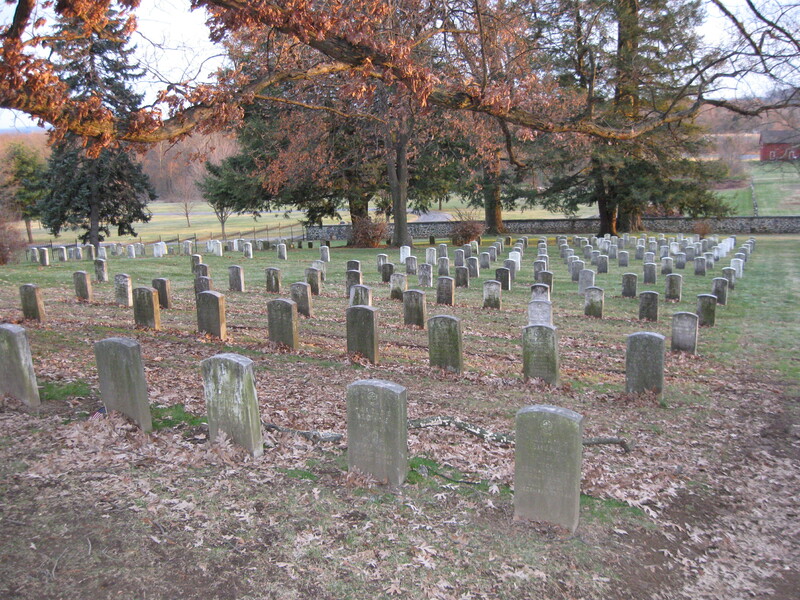 Approximately 3500 are Civil War era dead, and the rest are post Civil War. There are not enough wreaths for all of the graves. This view was taken facing north at approximately 4:30 PM on Monday, December 8, 2008. 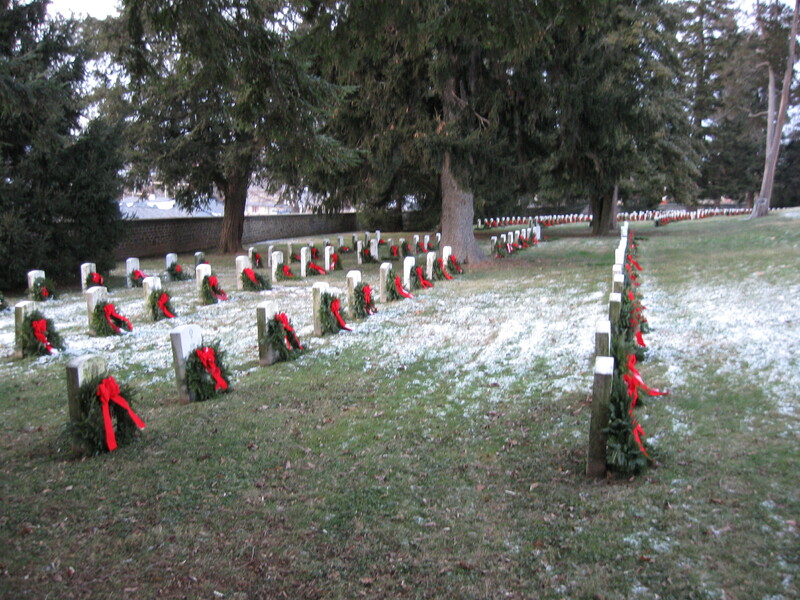 The Civil War Section of the Soldiers’ National Cemetery was not decorated. This view was facing southeast at approximately 4:30 PM on Monday, December 8, 2008. A wreath was placed at the Soldiers’ National Monument. This view was taken facing east at approximately 4:30 PM on Monday, December 8, 2008. The section behind (south of) the Lincoln Speech Memorial is mostly undecorated. This view was taken facing southwest at approximately 4:30 PM on Tuesday, December 9, 2008. It certainly leads one to wonder what the cemetery would look like if the headstones were pressure washed and wreaths placed at every post Civil War grave. This view was taken facing southeast at approximately 4:30 PM on Tuesday, December 9, 2008. Is it feasible or even desirable to place wreaths on the Civil War era graves? What if wreaths were placed on all the monuments on the field? This view was taken facing northwest at approximately 4:30 PM on Monday, December 8, 2008. There would also need to be many volunteers to take down the wreaths after the holiday season is over, and not only dispose of the wreaths, but recycle the ribbons. 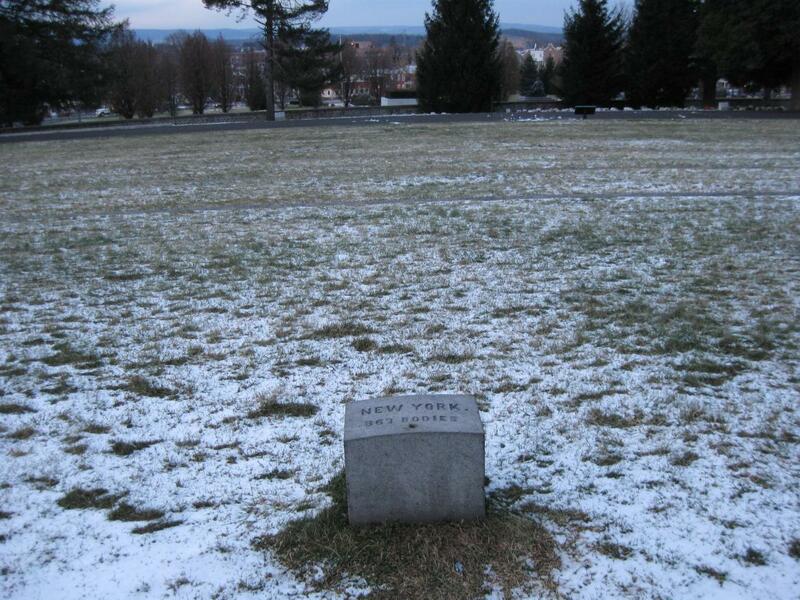 The marker to the 74th Pennsylvania Infantry Regiment is in the right foreground. This view was taken facing northeast at approximately 4:30 PM on Monday, December 8, 2008. But the National Wreath Project has made a great start, and we appreciate their efforts in honoring Gettysburg’s military personnel. This view was taken facing southwest at approximately 4:30 PM on Monday, December 8, 2008.